Can you help us find new members and much needed funding that will allow us to continue our vital work? This is a great opportunity to earn some extra income by doing something that you really believe in, without any hard-selling or persuading. Instead, some sales, marketing, promotion, face to face public engagement experience or similar, could be useful. The role requires an initial commitment of around 15 hours a week, primarily during weekday evenings. Do you have a genuine interest in wildlife and really care about protecting it? 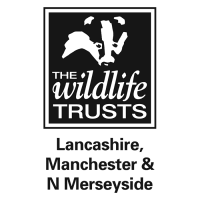 Would you like to help people to support our conservation work? Click the link below to view the full job description. If you’d like to know more about this post and apply, please visit www.fmrsolutions.co.uk. £10 per hour during 2 week Trial Period, then freelance/self employed/seasonal (Mar-Oct) with generous rate of commission.